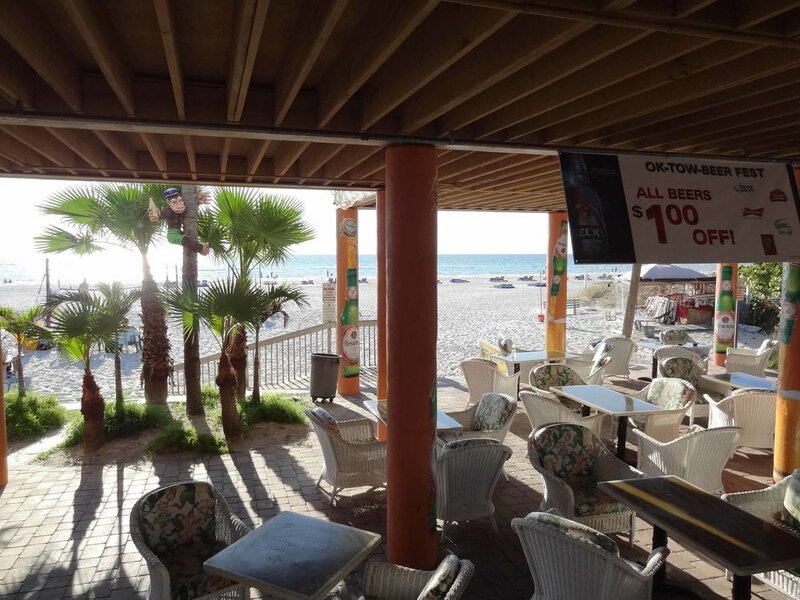 Undertow Beach Bar is a Florida beach bar located in St. Pete Beach. Discover this great Florida beach bar. 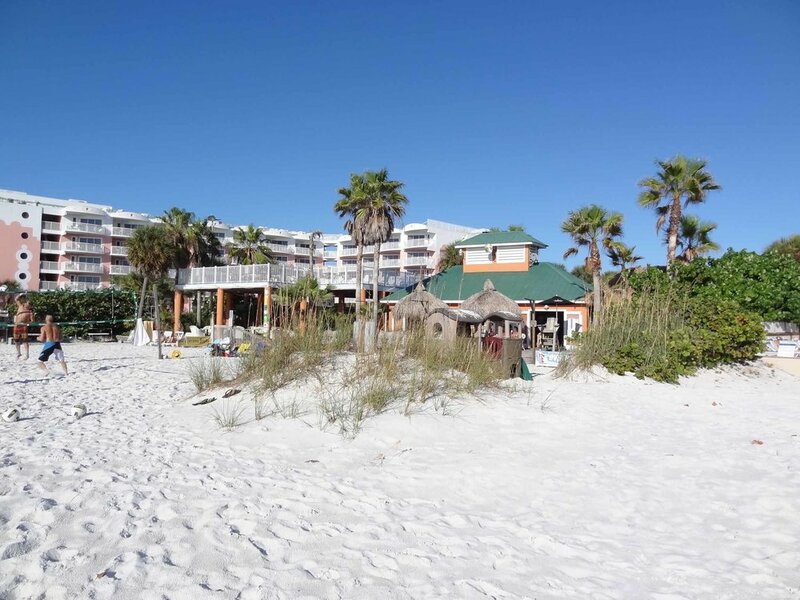 The Undertow is located right on St. Pete Beach at a beautiful, and you will love it here. There is a parking challenge. But whether you walk or drive there, you will enjoy the Undertow and the crowd. There is always some kind of event going on. The Undertow counts down to all major holidays and has events planned for those days. You can catch live music on some days. Just check the calendar on their web site for details. We popped in unplanned one afternoon because we spotted a parking place in the lot. We were able to find a table close to the beach and watch some fine young men play volleyball. The bar was crowded with a rowdy bunch of after work partiers. Inside the bar there was much laughter and commradery. It was a cool and beautiful day and sunset was about an hour away. The volleyball players were enjoying their game. It was a great way to end a day. Daytime visits will be fun and calm, but plan on large quantities of people having a lot of fun during the evening. Parking will be an issue, but if you can get in you will have an amazing time! !